We are hopping with a special guest - The amazing Julie Davison. 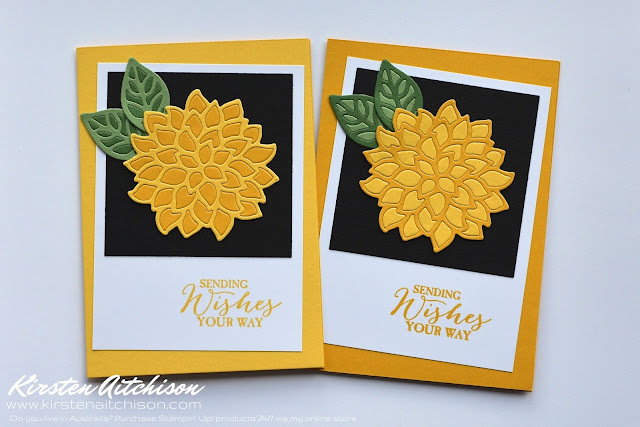 The theme of this blog hop was to CASE (Copy And Selectively Edit) one of Julie's cards. 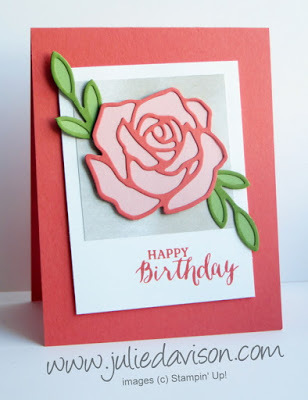 I really liked the layout and the two colour die cut image in Julie's card. To checkout Julie's card in more detail click here. 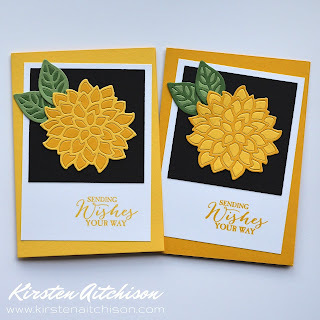 For my cards I also went with 2 colour die cuts, but instead of using a die cut with a different coloured cardstock underneath, I inlaid the cut outs in a different colour. 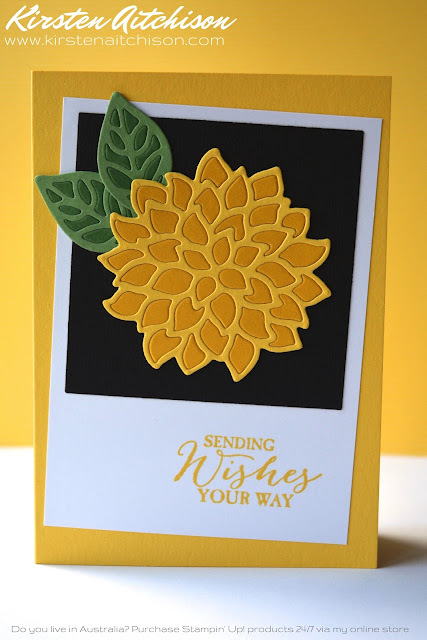 For my flowers I have used Daffodil Delight & Crushed Curry and just ran each colour through the big shot using the flower die from the May Flowers framelits and then swapped the loose bits over to have 2 different colours. I did the same for the leaves using Garden Green & Wild Wasabi. I glued all the pieces down on to a light weight piece of card stock and then fussy cut them out once dry, as I wasn't sure what my layout was going to be at the time. I then adhered them to a square cut from Basic Black cardstock with Snail adhesive. 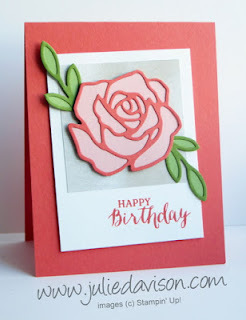 I chose the same colour cardstock for my card base as the flower outline die cut and then stamped my sentiment (from Butterfly Basics) in the same colour ink on Whisper White. If you would like to purchase or see any of these items in more detail, just click on the relevant link above to be taken to my online store. I have also included these cards as my entry for this weeks Crazy Crafters Team Project Highlight. 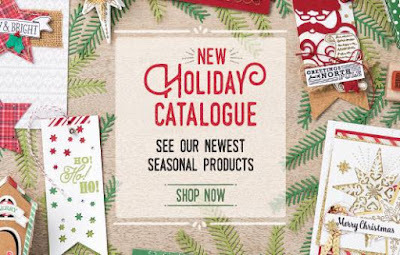 The new holiday catalogue started on 1st September. Check out all the fantastic new products here. Make sure you check out the Designer Series Paper Sale. 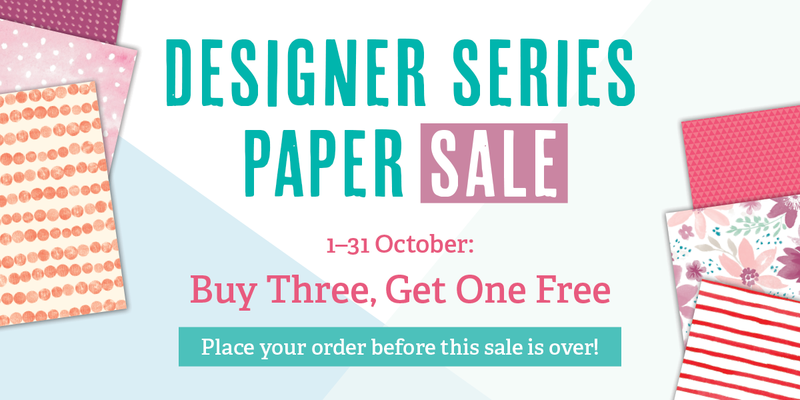 During the month of October 2016, buy any 3 Designer Series Paper packs and get 1 free. Just gorgeous! I love the drama of the yellow against the black! Gorgeous!! The yellow flowers just pop! 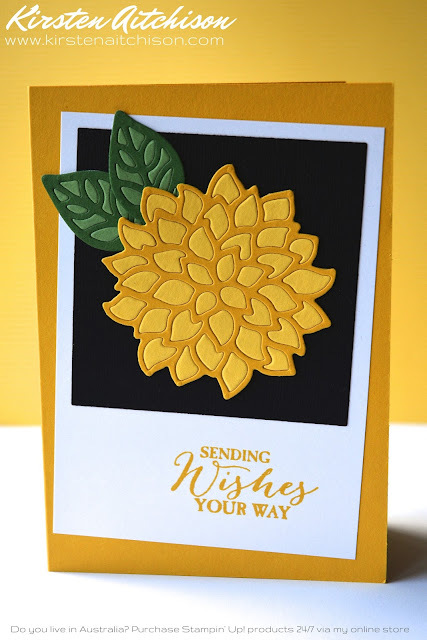 I love this card and I am so happy that it inspired you! Stunning! Both you and Julie have far more patients than me. 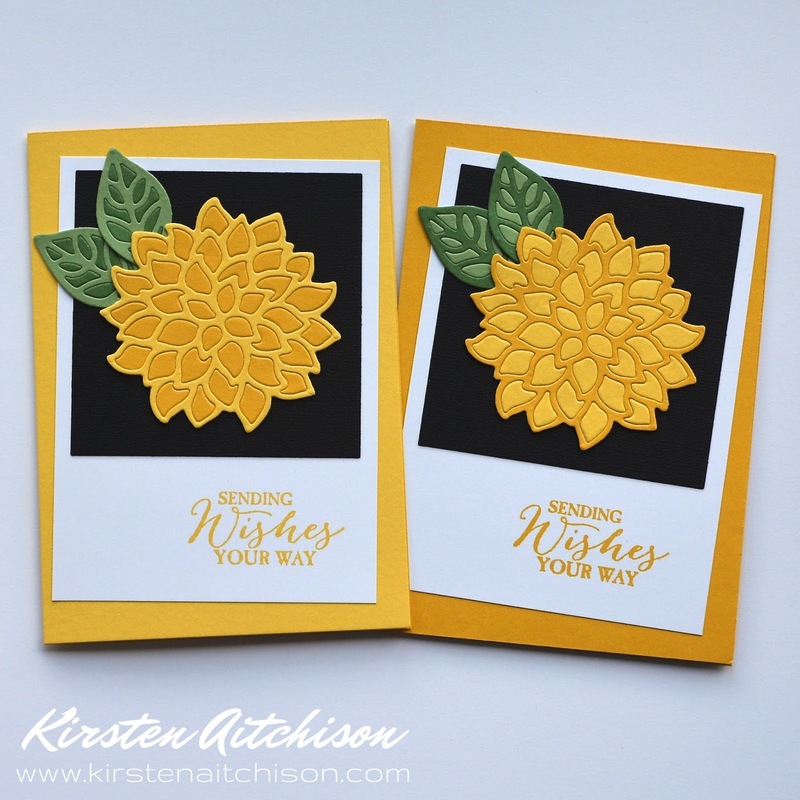 Hi Kirsten, this is just gorgeous and such a happy bright happy card!it reminds me of spring in England when all the flowers start to bloom. Particularly the daffodils which your card instantly reminded me of because of the colours you chose. Great job.